Protect your code against decompilers with secureSWF, the most sophisticated ActionScript obfuscation, optimization, and encryption solution available for Adobe Flash and Flex developers. secureSWF's advanced ActionScript obfuscation technology renders your proprietary code unreadable and shields your intellectual property against decompilation, copying, and redistribution. With secureSWF, all sensitive text strings, graphics, animations, sounds, and even videos are fully protected from unauthorized use by military-grade encryption technology. Code the way that works for you, then let secureSWF take care of making your SWF files lean, quick to load, and responsive on all your users' devices. The product of more than two years of coffee-fueled coding, this important release bakes 100 new features into the industry's favorite ActionScript obfuscator and SWF encryptor. New features include: fast and lightweight engine; reworked identifier renaming; improved code protection; code optimization; fast RC4 and extra-secure AES encryption; hassle-free domain locking; encrypted loader protects all SWF assets; SWF file optimization, and a whole lot more! » Watch a 3-minute video tour of the new features. Put the secureSWF demo to the test against leading Flash decompilers. 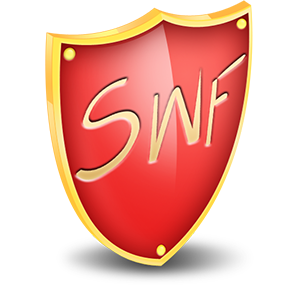 Learn how secureSWF protects and optimizes SWF projects. 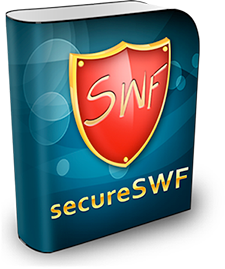 Find the secureSWF edition that's perfect for you. 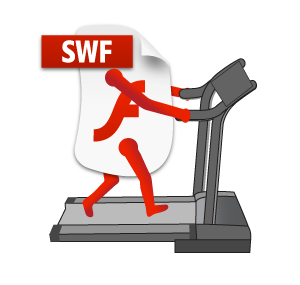 secureSWF's renaming engine completely scrambles classes, symbols, names, frame labels, and more, creating a hard-to-digest SWF file that chokes the most advanced Flash decompilers, yet works flawlessly, every time. But the protection doesn't stop there: sophisticated protection algorithms, including control flow obfuscation, dynamic code wrapping, and statement-level randomization, turn your SWF files into impenetrable black boxes that keep your secrets safe. 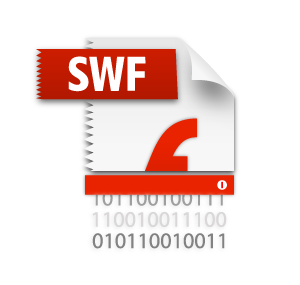 Stop unauthorized copying and redistribution of embedded SWF assets, such as proprietary graphics, animations, sounds, and videos, with secureSWF's state-of-the-art encryption algorithms. secureSWF also encrypts literal strings containing sensitive URLs, passwords, IDs, and other information, decrypting it only at runtime and only as necessary. With secureSWF, there's no need to sacrifice SWF functionality for data and asset security. secureSWF's top-to-bottom optimizations turn complex code into lightweight SWF files that load fast and run at high speed, even on mobile devices. In addition to compacting SWF headers, trimming unneeded code, and stripping out debug information, secureSWF optimizes the logic of the SWF itself by streamlining control flow branching and other code inefficiencies to ensure a consistently great user experience.